Im a Fan of DI's Color Crazy Salon... Are you? Fill in the below form and you can recommend ‘DI’s Color Crazy Salon’ to a friend or family member via a text message. Show your support with a quick share of ‘DI’s Color Crazy Salon’. I have been going to Diane for just under a year. She always does exactly what I want and I leave there feeling great. Her staff are super friendly and always accommodating. Diane is awesome and so is her staff so talented and friendly! I would recommend her salon to everyone! They all do amazing work!! Diane and her while staff are amazing! I look forward to every visit. The whole staff puts you right at ease and always exceeds any expectation I have. I always leave with a smile and feel beautiful inside & out thanks to Di and her team! Diane does excellent Work! The entire staff is very friendly and welcoming. I switched here after years of being with the same salon, so i was very hesitant but I was not let down. Plus I finally found a place that will wax and color my eyebrows again– the right way! Di and I have been friends forever . From high school to Jean Madeline.. she has always been dedicated to her work! Love my cuts every single time .. she is simply the best and her salon is adorable! My wife is committed to her work ! Her goal is to make her clients and staff happy! Not only is she a great owner of a salon but a wonderful mother and wife who is committed all around!! Looking for real people with talent call her salon!!! The salon is cute, beautiful and clean. Everyone is friendly. They were so patient and helpful with my hair ordeal. The girl came in on her day off to finish my hair. Couldn’t ask for better customer service. I don’t trust anyone else with my hair! Diane has been doing my hair for almost 8 years now and I love my hair every time! Her salon is so cute and welcoming. I love Diane’s because she is super talented, quick, and doesn’t break my bank like other salons in the city would. First off let me start by saying how beautiful Diane keeps her salon ! All her staff are wonderful very friendly very professional I’ve been going to Dianne for about 8 months to a year now and I absolutely love her I always go back and will always recommend her. Diane colored my hair the way I liked it, and better than anyone ever dyed it before! She’s fabulous with hair! Because my niece said to be a fan. So must be good if she says so. Diane & her staff are so talented & innovative with hair color & hair cuts. They truly listen to what the customer wants & make our hair dreams come true! I always feel so welcomed there. Thanks Diane for always doing such fabulous work! Wonderful staff and my hair always looks great! Di\’s Color Crazy Hair Salon is a quaint full service salon that offers expertise and a friendly welcoming environment. Every time I get my hair colored and styled the compliments I get are many. I trust Diane completely to guide me with the correct color and hair style choice. This is an awesome and a salon full of talent for bringing the best qualities out in a person and have them leave feeling good. I visited Di’s based on a friends review since I haven’t had a trusted stylist in a long time. I felt welcomed and comfortable from the start. My hair turned out better than I could have imagined and I felt beautiful. I received so many compliments just on my way home. I finally found the stylists I’ve been searching for. Absolutely LOVE Di’s Color Crazy! I have had my hair cut, colored and styled many times–they NEVER disappoint! Great stylists & super friendly! Great staff! My hair came out great! Perfect high-lights! Just what I wanted! Very professional and beautiful outcomes!! I love Di\\\’s Crazy Color Salon they do Amazing work, all the Woman are so friendly, Everyone works so well together!! I cant wait to go back!! Amazing Staff and Talent in this Salon.. They treat everyone like Family Especially the owner Diane.. So glad I found this Gem! Every time I go to di’s color crazy I feel comfortable and welcomed. It’s a very friendly environment. I always leave loving my hair, and have never had so many compliments on my hair, as I have since Diane has been doing it. 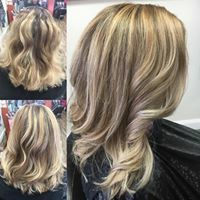 Have never left this Salon unhappy, cut or color. Diane is great!! She is skilled and makes sure you leave the salon happy. 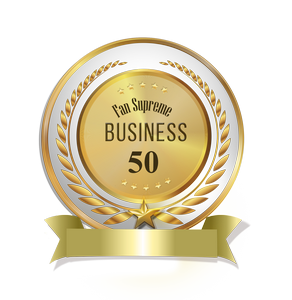 I am a fan Bc Ik what a FANTASTIK hairstylist Diane is and what a great company she runs …. her dedication , motivation and expertise are defintily qualities to admire of her !!!! Di’s color crazy is the BEST !!!! Diane and Her Crew are kind,courteous and very professional And they perform the Best Hair Cuts ! Everyone at the salon, including Rocky (the dog) are super friendly. Ive never had a bad cut since ive been there. Ill be a lifelong customer! Diane and her girls make you feel comfortable from the time you walk thru the door. Always willing to help get you to whatever vision you see yourself in, and in doing so giving trustworthy advice!!! Diane is the best . She goes out of her way to please you. Great color, cut and style. Great friend..Atmosphere is comfy. Always dependable. Thanks Diane..
I’ve been going to Diane for years, she did my hair for my wedding and other big events that I had. She is awesome and always does amazing work! Not only do they do great coloring they treat you like family. The salon has a very welcoming and friendly atmosphere with amazing stylists. I love this salon ! I was referred here by another client and from my first visit I was Made to feel at home. Everyone is so friendly and the pricing is great ! I will no longer go anywhere else. They Are Amazing here, and the salon is So cute and well kept! Beautiful space, great stylists. Definitely recommend this salon. The salon is adorable and everyone is friendly and Diane is the best at styling and hair color love her!!! The ladies are here are top notch! I always walk out with a smile! My daughters both love coming to Di and you never have to worry which lady on the team is helping you because they all do amazing work! Di and her girls make you feel so welcome as soon as you walk into the salon. They really listen to what you want and boy do they succeed! I always leave happy and ready to show off my hair! Great business with extremely talented experienced friendly staff! Diane is the best, always a happy customer!Love the salon and the friendly staff! Such a cute little place with excellent service. Best hair salon in the city. Diane is the most amazing colorist & stylist! She is so knowledgeable about the latest trends in color. She makes on point suggestions to her clients. We all love how we walk out of her salon! Her staff is wonderful as well! I’m always satisfied when Di does my hair. Everyone in the salon is friendly and they are very accommodating. I highly recommend this salon! Best Salon Ever. Di is wonderful her girls are also great to. She us the best!! My hair always looks awesome!! Di\’s salon is such a friendly and inviting environment. The stylists listen to their clients and in return have happy customers. Love the staff and the salon! They did an amazing job. I had a cut and color and loved it!! di\\\\\\\’s Color Crazy is the most amazing salon ive ever worked in. the minute u walk through the door there is so much comfort, its like Family ! Clients have been soo loyal its the best feeling in the world ! The girls there are amazing and extremely talented. They are also very attentive and make everyone feel they are just as important as the next. They are so passionate about what they do. I have enjoyed every experience I\\\’ve had there! Di and her entire staff are incredible. Every time I walk in I feel like I’m part of their family, they are so kind and friendly and warm, it makes the entire experience even more enjoyable! Plus when I walk of there I feel absolutely gorgeous! If you want your hair to look fantastic and have a great, relaxing experience, this is the place for you!! Di is the best colorist in the city. Hands down! And her staff ROCKS! I am a huge fan of di color crazy salon because I can always get an appointment, I always leave looking better than I walked in, its very clean, and the staff is always friendly. 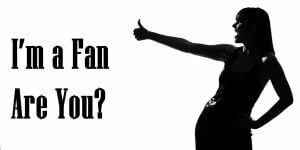 I am a fan because I am the owner and I have a dedicated staff and we live what me do!! Thankful for being nominated !! Please keep voting for us! !